Saying Thank You Makes Headlines at Options! Client Returns to Say “Thank You,” is not the kind of copy that usually makes headlines in the media but it is to us. Last week a client returned to Options for her layette basket and while she was here we asked her to describe her experience with us. Her sincere comments headlined in our hearts and made us feel as if she were presenting us with a gift and not the other way around. We know Thanksgiving is over but Javiera showed us that giving and receiving thanks is never out of season. With Javiera’s consent, we’ve shared her comments so you can get a better idea of how she was impacted by Options and how we were impacted by her. Aside from politeness, a sincere thank you marks something good that happened to us in an exchange of kindness. Javiera’s “thank you,” was a gift that returned to us in a flow of love and mutual appreciation, hers for our services and ours for the privilege of sharing such an important time in her life. 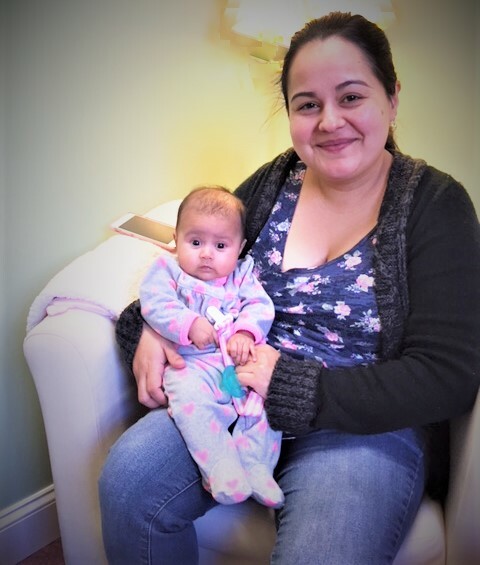 Javiera’s visit reminded us that no mother’s love is ever ordinary and that every baby is a miracle. Now, as we move toward the Christmas Season we are especially sensitive to the idea of what one one baby’s life born to Mary and Joseph means to the whole world, and of what one baby’s life means to any mother who holds her newborn in her arms for the first time, and every time thereafter. Again the circle of thanks is widened to include celebration and appreciation for the gift of life itself! Usually when someone says “Thank you,” the appropriate response is to say, “You’re welcome.” In Javiera’s case, we feel that saying “Thank you,” for her “Thank you,” is the better response.